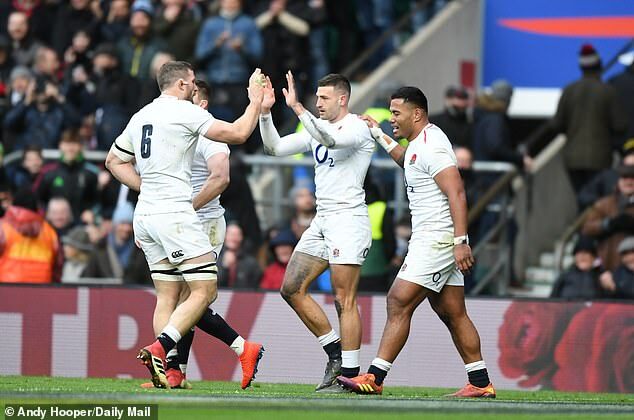 England surged back to the top of the Six Nations standings with a six-try rout of France at Twickenham on Sunday. 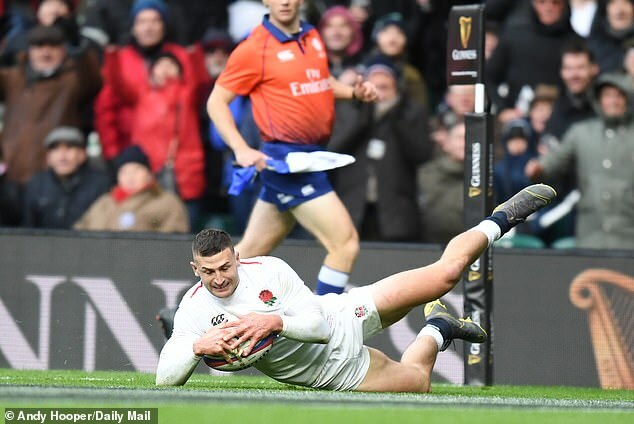 Jonny May scored a first-half hat-trick while Henry Slade, Owen Farrell went over and a penalty try was awarded for the hosts. Growing in confidence under high ball and leaving defenders in knots with graceful running. 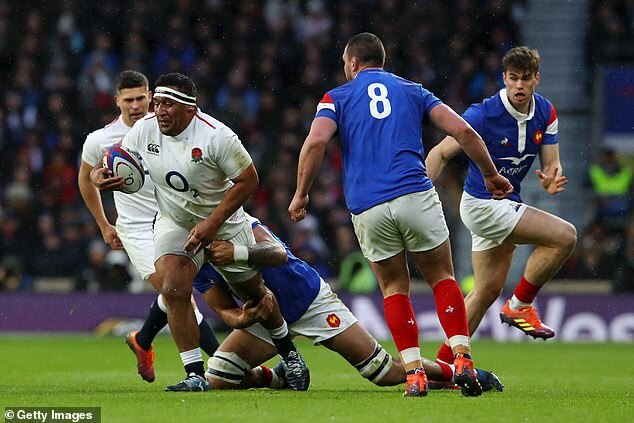 Poacher turned provider with try-less performance on his first Six Nations start in six years. Interception king is starting to have a ‘Conrad Smith’ presence with unheralded play-making. Didn’t lose an inch in heavyweight contest with Bastareaud and injected power in midfield. 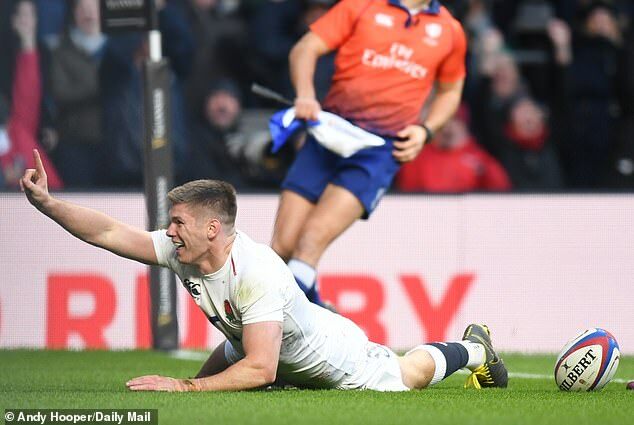 Form winger of 2019 after England’s first hat-trick against France since Jake Jacob in 1924. Masterfully exploited space behind the French defence with his laser-guided kicking. Achieved his primary goal of quick ball at ruck despite the irritant presence of Parra. Set the tone before injury with a rib-crunching tackle that resulted in a turnover for first try. Revved up ball boy for quick service as England tried to speed up the tempo at the line out. Chief antagoniser with sledges of ‘Let’s go golden boy’ to Bamba as he won scrum battle. 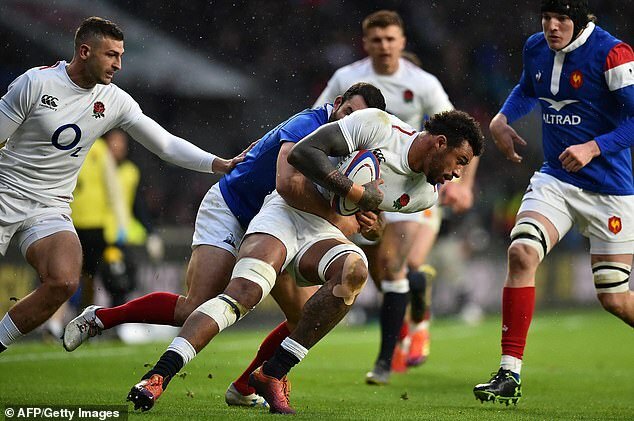 Bust the myth that he targets half-backs by knocking Bastareaud backwards like a rag doll. Kept line out ticking over but needs to offer more around field to keep place in starting XV. Led the defensive effort again with high tackle count and another workhorse performance. 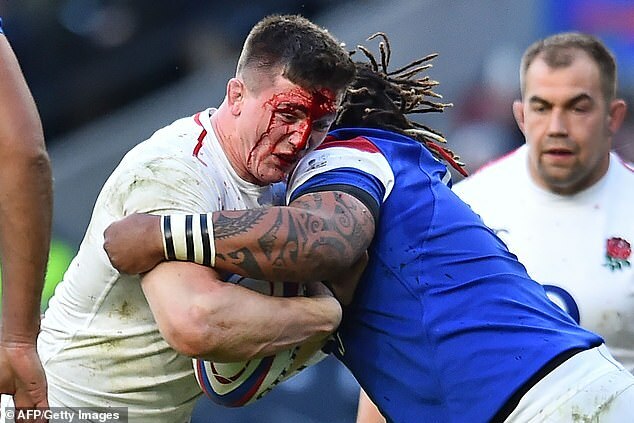 Face pouring with blood as turnover specialist put his head where it hurts at breakdown. Quality backfield cover to help Daly with high ball but not yet back to game-breaking best.